It just goes on and on and on …. A damning, name-and-shame, year-by-year account of how a few food giants have purposefully orchestrated the most broken food system we have ever had on this planet. 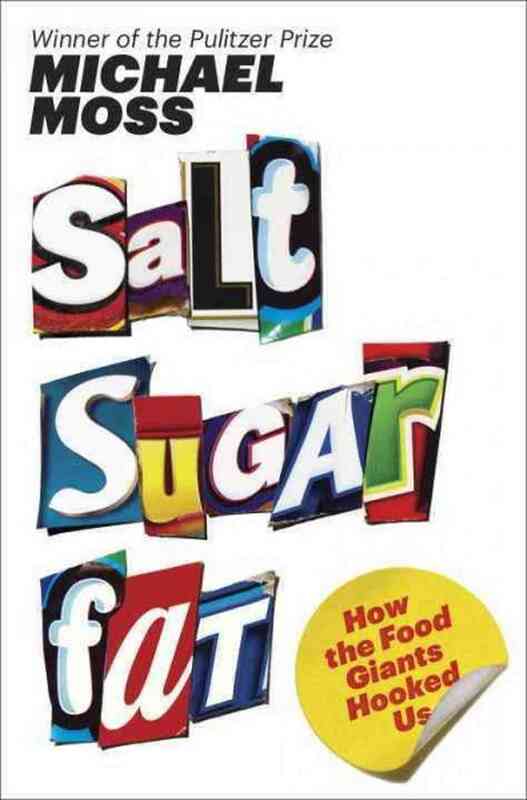 One cannot help but say “you bastards” on just about every page of this book as it explains how sneaky food science and inescapable marketing funded by billions of Dollars makes for one hooked, obese, ill consumer base. You and me. And all for money. If you cannot lose weight, if you are plagued by allergies, digestive tract problems, cravings, headaches, cholesterol, depression, cannot stop eating, got kids that are out of control or sickly … you need to look no further than this book to understand where it all came from and how completely innocent you are. Tests done with 6 year olds! Marketing plans targeted at kids that young! Get them early and you’ll have them for life type of thing. So called healthy low fat, bran options all pure lies! There is nothing healthy about any of them. They bring down the salt, but then up the fat and sugar. Do you realise you are eating on average 22 spoons of sugar a day if you’re eating processed foods? You need to research the term ‘bliss point‘. The guilt you have been feeling every time you eat something, every time you feed your kids junk food because you’re just too tired and it’s all they will eat … it’s all been carefully orchestrated by an elite few food, beverage and tobacco companies. Then they’ve got the cheek to say that us as consumers need to eat less and more healthy when their products have been chemically engineered to make us completely addicted to them and completely incapable of stopping eating! Plus bringing out fake healthy alternatives for us that merely drive up their sales. And then topping it all off with misleading and confusing labeling to pull the wool over your eyes about what you’re eating. It’s nothing short of criminal. It makes me sick! No pun intended! And very very angry. And very very sad. 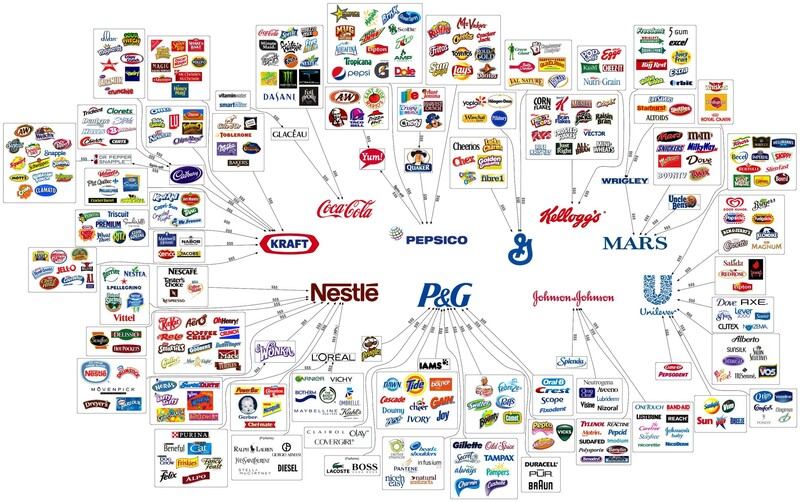 There are about 60 000 products on our shelves designed like this and owned by 10 companies – you still think you have freedom of choice? What you may not realise from reading this book, is the double whammy its content exposes to those who do know this part – the genetically modified food industry that supplies all these companies with the base ingredients that go into their convenience foods, “convenience with a capital C!”. Apart from the extremely high levels of salt, sugar and fat that are already killers, the base GM ingredients are affecting our DNA and causing every dreaded disease known to mankind, and then being passed on from mother to child whilst in the womb. Join the global March Against Monsanto on 25 May 2013! (Jhb event, Cpt event). There is no escaping this perfect storm, apart from one : Go cold turkey and stop buying every single one of those products right now. It’s how all addicts have to stop, and do not be under any illusions here, you are a food addict. They’ve turned us into them. Stopping is the only power we have. I know you’re tired; I know you don’t have the time. But staying in the middle of this perfect storm is nothing short of catastrophic for you and your family. The irony is, if you took the time to change to locally produced, organic, chemical free alternatives, you will have more energy you ever had before and thus more time on your hands. The government is not going to take care of you. These corporations do not care about you. You need to learn to take care of yourself! “Are health foods really expensive? It depends on how you measure the price”. Here’s a list of organic suppliers in the Johannesburg and Cape Town areas, as well as a long list of resources on genetically modified foods. It gets added to all the time. Please, read this book. It will change your life. I agree. It just made so much sense to me once I read it. I remember my junk food habit all to well, it only ended in January. No way I could stop eating! Thanks for posting this book review. I always make a list before going to the grocery store and try very had to stick to it. I agree about Cheetos. They are addictive, tasty, empty fluff :o) I don’t see myself going cold turkey with cheese though. I love cheese.